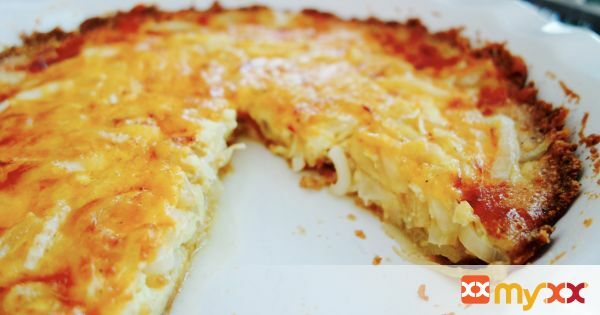 Cheddar and Ritz Cracker Vidalia Onion Pie would be great served as a side dish or alongside a grilled hamburger. It also makes for a great Holiday dish! 1. Mix Ritz crackers and melted butter. Press into an 8 inch pie plate. Saute Vidalia onions in 2 tablespoons butter until clear, but not brown. Spoon into pie crust. Beat eggs with milk, salt, and pepper, pour over onions. Sprinkle with cheese and paprika. Bake at 350º for 30 minutes or until firm in the center.